As revealed earlier this week, rightsholders from the music and movie industries have identified 100 “copyright infringing” websites which in their ideal world would be blocked at ISP level. However, if website blocking should prove ineffective at reducing infringement these requests would become pointless even if authorized. So, to ascertain the effectiveness of blocking, Secretary of State for Culture Jeremy Hunt asked communications watchdog Ofcom to look into the matter and report back by spring. But as the wheels and processes slowly turn, accompanied by calls from the Open Rights Group for citizens to challenge the proposals, those unencumbered by layers of bureaucracy are acting quickly. As widely predicted, a way around website blocking has been found quicker than it has even been assessed, let alone implemented. 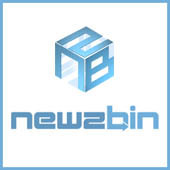 First up, one the MPAA’s primary blocking targets – Usenet indexing site Newzbin2. “Since web blocking seems to be the new DRM for the Dirty Half Dozen and our name has featured high as a prospective victim of a domain name grab or a block, we thought we’d address the problem by the use of the free speech tool Tor,” Mr White from Newzbin2 told TorrentFreak today. “We have set up a hidden Tor service accessible at http://sc3njt2i2j4fvqa3.onion,” he added. Without going into huge amounts of detail, what Newzbin2 have done is set up what is known as a ‘hidden service’ with the world-famous TOR anonymity network. This means that by using the above URL with a TOR-enabled browser, anyone can access Newzbin2, even if its domain name is blocked or seized. For those that don’t want to install TOR there is also another solution. By exchanging the .onion pseudo-TLD with tor2web.org (e.g http://sc3njt2i2j4fvqa3.tor2web.org), .onion URLs can be accessed from a normal browser with no addons whatsoever. “By running a hidden service we make the MPA’s attempt to knock our name off the web entirely futile,” says Mr White. “Newzbin2: 1 Stupids: 0,” he concludes.